The Worth County Board of Supervisors will meet this morning beginning at 9am to first hear from the County Engineer Richard Brumm on the state of secondary roads in the county. Brumm will discuss all projects and road maintenance currently being performed or what has been completed. New projects will also be reviewed. The board will also look at drainage matters starting with the completion of the Drainage District 23 project. Jon Haugo will make an assessment of the work. The board will then look into the Drainage District 21 project which was recently awarded and should begin soon. The board will then review Resolution #2018.08.03 which terminates the 28E Sharing Agreement which is otherwise known as the Mitchell-Worth Emergency Management Agreement. The two counties shared emergency management services which began on July 16, 2007. Following their other two counterpart counties of Hancock and Winnebago, the Worth County Board of Supervisors will discuss terminating the 28E Sharing Agreement between the counties and replace it with a recently drafted new agreement. The reason stems from the elimination of a fund review position within the County Social Services Mental Health Region. Sandy Mireles was informed that her position was eliminated after an executive review by CSS. That action spurred a meeting between the three counties on how to retain Mireles for general health services within their counties. Winnebago County hired Mireles on a temporary position basis until a new 28E sharing agreement between the counties could be reached. 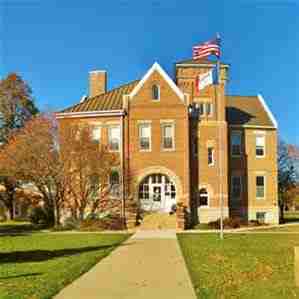 Worth County Supervisors will review that new agreement to reflect changes in state law applicable to the position. The three counties have applied to a new mental health region and are intending to leave County Social Services by the end of the fiscal year in June. The meeting will conclude with a discussion on fireworks permits and the approval of a 5-day Class B liquor license for an August 25th event by the Worth County Fair Board.